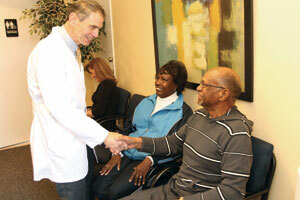 You will always get a warm welcome when you visit our practice. Dr. Flowers is known for providing very thorough dental examinations and consultations for his patients. 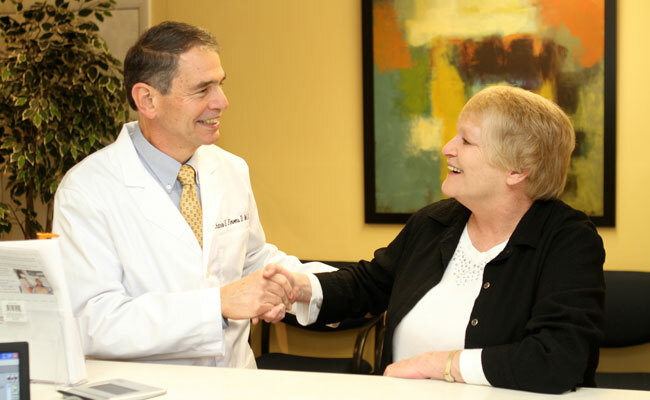 His focus is on personalized care and patient satisfaction. He’ll listen to your concerns, explain his diagnostic procedures, answer your questions and do whatever it takes to put you at ease during your visit. During your exam Dr. Flowers will show you what came up on your X-rays. The first thing Dr. Flowers will do is get to know you and put you at ease. Then he’ll discuss your smile goals with you in a private consultation where he gets specific information about you. 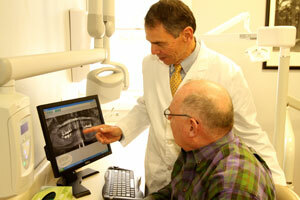 He’ll also review both your dental and health histories, discuss your concerns and answer any question you might have. Dr. Flowers will do a thorough examination to get the complete picture of the present condition of your oral health. Then you will get a full set of low-dose digital X-rays to help spot little dental problems before they become big ones. After conducting your exam Dr. Flowers will create a personalized treatment plan, customized to your needs, to improve your oral health and your smile’s appearance. Your first step to getting your teeth fixed begins with our New Patient Special that includes a comprehensive oral exam, low-dose digital panoramic X-rays and a consultation with Dr. Flowers. Regular checkups can catch small problems before they turn into big problems. Sticking to a regular dental checkup schedule can ensure any small dental problems are identified and treated before they can turn into big painful and expensive ones. So how often should you go in for these checkups? A good rule is once every six months providing that you haven’t experienced any pain or discomfort anywhere around your jaw line or teeth. This way Dr. Flowers can check for tooth decay, gum disease, TMJ problems, lesions and other abnormalities. Dental problems aren’t typically painful, but there can be other warning signs that you have a dental problem. The best way to prevent a problem is to visit the dentist at least once every six months for a checkup. Not all dental problems, however, come with warning signs. People who do not get regular checkups don’t know if they’re at risk for a serious dental problem, or if they’re already suffering from one.